Happy Father's Day to the love of my life and to the #1 Best Dad ever for our 3 kids. Our children are not so little anymore and we have a little more time for our hobbies and interests. 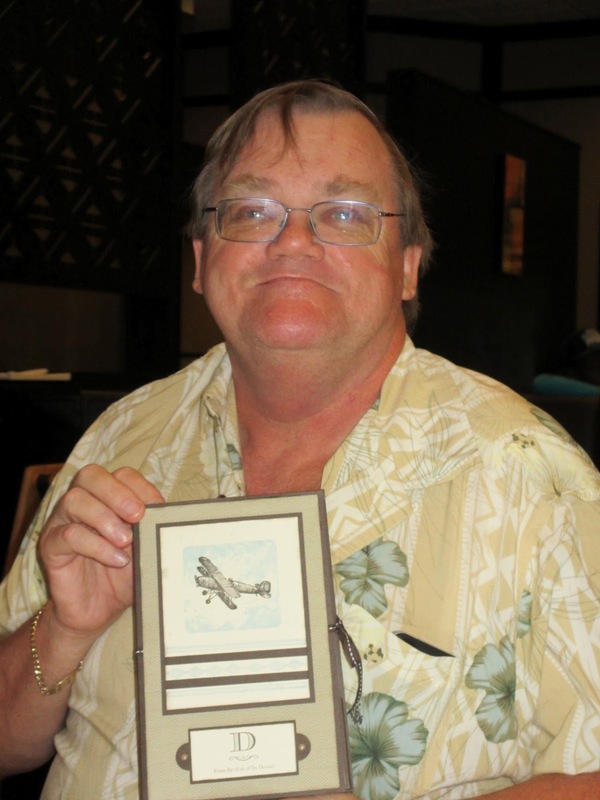 One of Irv's interests is the search for Amelia Earhart. This is a portfolio that I made for Irv's desk. Everything is from the current 2012 - 2013 Stampin' Up! catalogue except for the airplane stamp which came from a retired Stampin' Up! set called Plane & Simple. I definitely had to keep that one in my library. You can order your monogram stamp and choose one line of text. 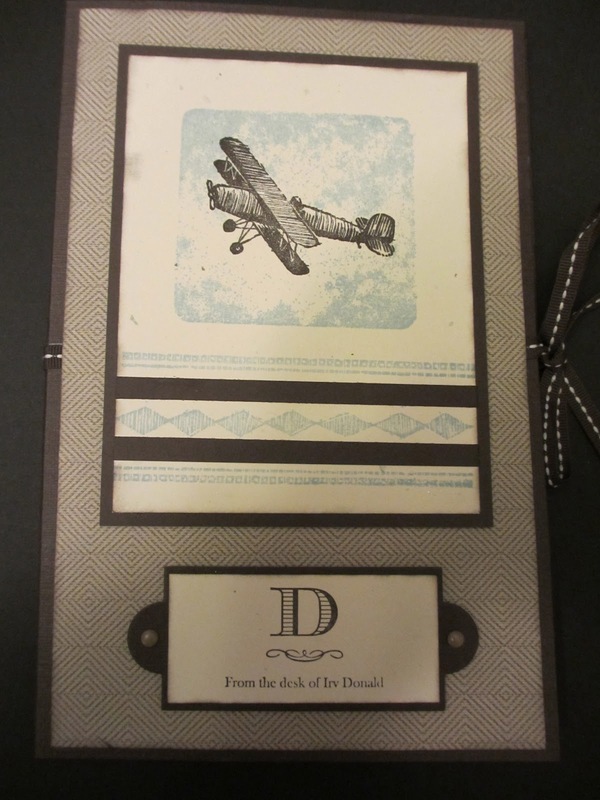 For Irv I chose the letter D for our last name and "From the desk of Irv Donald"
I am going to order one for myself that has my D and then "A little note from craftDbear"
I see these as making great Christmas presents. The envelopes and the notepaper in the portfolio can be found on page 147 of the catalogue and is called English Ivy Simple Sentiments. I created the portfolio myself from Stampin' Up's fabulous Early Espresso card stock and Comfort Cafe Designer Series paper. 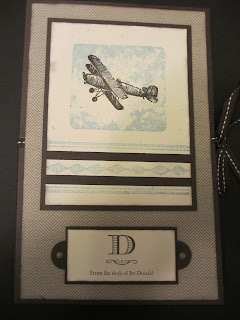 I used the Apothecary Accents Framelits and the new 1/4" Stitched Grosgrain ribbon. The cool thing is that I have the stamp to create more personalized paper when Irv has used all of the paper in this portfolio. Yes, it's a gift that keeps on giving. You can get the pattern for this portfolio FREE when you order the English Ivy Simple Sentiments and the Monogram Stamp from me. Terrific idea Denise to showcase the new product! I love the design for Irv which ties in his hobby!